So you've read Game of Thrones, waiting for the next books, and you're looking for something to read. I recommend The Warded Man. Multiple character arcs combine to create a brilliantly detailed world with an action packed story and meld of fantasy and science that's sure to delight. Bonus: the entire series is out, so no need to wait. 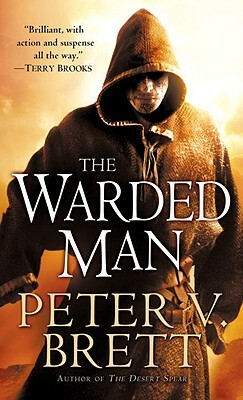 Peter V. Brett is the internationally bestselling author of the Demon Cycle series, which has sold more than 2.5 million copies in twenty-five languages worldwide. The novels in the series are The Warded Man, The Desert Spear, The Daylight War, The Skull Throne, and The Core. He spends too much time on the Internet, but occasionally unplugs to practice kickboxing and dad fu. He lives in Manhattan.